★ Zakaat is paid on total saving. ★ No Zakaat is paid on daily, monthly, yearly expenses. 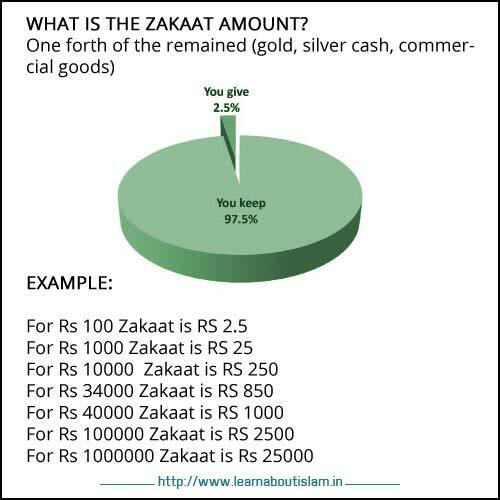 ★ Zakaat is paid on Rs 30,000 or more if saved from an year. ★ Zakaat is one fortieth (1:40) of total savings. For a savings of Rs 3 lakhs Zakaat is 7,500. ★ Zakaat is paid on Lands that are used for business purpose. Whereas no IT for real estate owners who own land valuing millions of rupees. →Income tax on commercial tax..